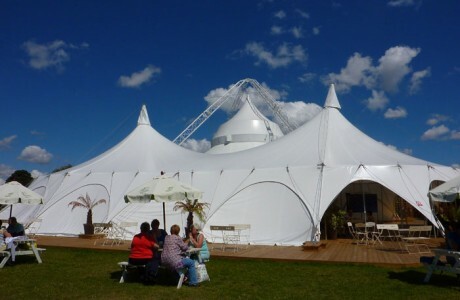 Since 1964, the Voilerie du Sud-Ouest (VSO) workshops have been working with circus professionals and organisers of events held in big tops and tents. VSO leverages the infinite potential of composite textiles, creative flair and modern manufacturing techniques to provide its clients with unique big top solutions to stand out from the crowd. VSO staff work daily to manufacture big tops and marquees. This is our core business, fuelled by our love of performing arts and fabric. VSO also manufactures metal and textile structures for engineering and design departments specialising in textile architecture. For the past 50 years, VSO has been designing, manufacturing and setting up modern and traditional big tops for circus professionals. Using sturdier, more lightweight fabrics, the imagination knows no bounds. We have Big Tops suitable for all events. Serving top engineering and design departments in textile architecture, VSO manufactures membranes for metal and textile structures. From the design of your project through to manufacturing, VSO staff deploys a wide range of savoir-faire, drawing on over 50 years’ experience. 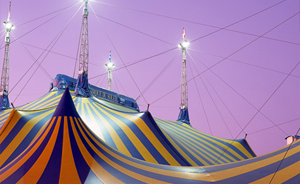 Expertise and resources acknowledged by top circus and players in the performing arts. > See VSO’s references. 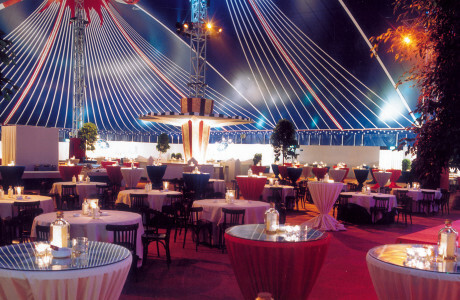 VSO offers turnkey services to ensure reliability from the design to the installation of your big top. Our assembly staff handles all assembly techniques and operations, and ensures turnkey deliveries with all fittings and fixtures. VSO’s Big Tops and textile structures are manufactured using composite performance textiles fitted using high frequency welding with a 10-year guarantee. VSO sources its raw materials from coating and weaving mill partners in Europe. 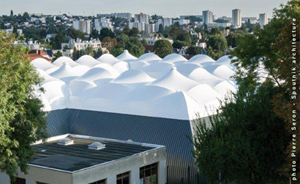 VSO manufactures Big Tops and textile structures in its workshops in Bordeaux, France. With over 4,000 sq.m of workshop space, VSO has one of the most powerful production units in Europe. 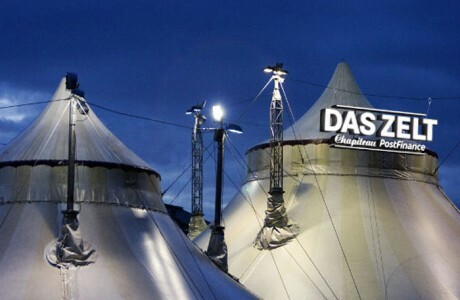 To ensure safety at your shows and events, VSO Big Tops and textile architecture structures are certified compliant with the strictest regulations (general and reinforced French CTS regulations for Big Tops, Tents and Structures, NV 65 regulations and TUV approval). 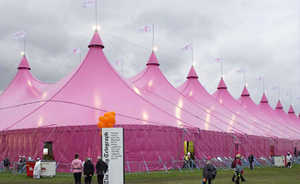 VSO partners with specialist engineering and design departments to conduct studies for its big tops and marquees for events. We set the global benchmark for structure quality and reliability. Our performance and expertise hinge on choosing the most reliable partners. Our partners are experts in their business, major players in their speciality. VSO invents and builds the most beautiful structures in the world with them. VSO certifies full control over each of the phases for its Big Tops and textile structures; design, studies, manufacturing, installation etc. in full compliance with the strictest regulations (general and reinforced French CTS regulations, NV 65 regulations and TUV approval). VSO Big Tops and structures can be approved all over the world. VSO is a subsidiary of BHD group. The group BHD is a network of 20 subsidiaries in France, leader of the manufacturing of technical textiles protections. BHD design and manufactures in his own workshops in France, all the covers for textile architecture, industry, aeronautics, sports & leisure activities, agriculture, civil protection etc. Do you have a question? VSO teams are at your disposal to provide technical answers and advice on the choice of your solutions and options.